We stayed in the chaming North Bondi neighborhood. A bit sleepier than the main Bondi stretch, but still walkable to the beach and restaurants, this feels like where the locals live and where I’d happily move into a bungalow if given the chance. Since there aren’t many hotels around, Airbnb is your best bet for the neighborhood. 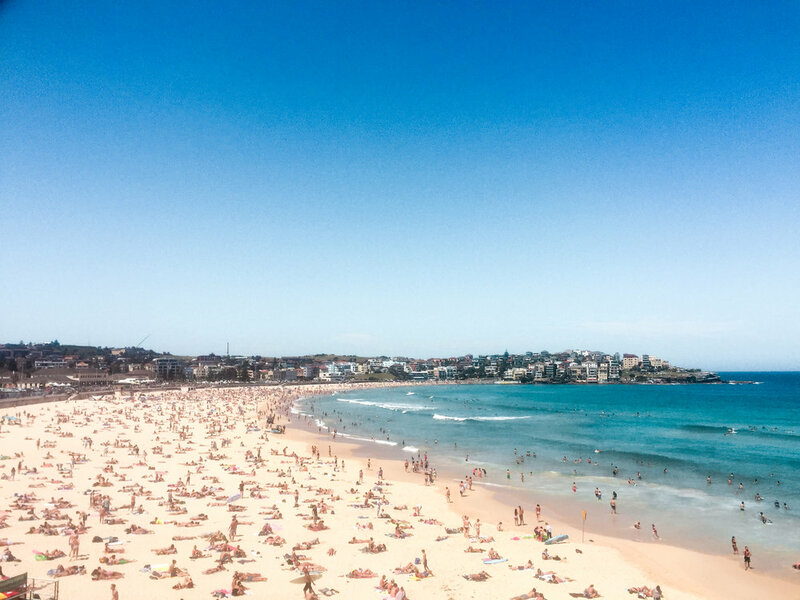 Here is our wish list of where to stay: Bondi Beach Airbnb Wishlist. Book through this link to receive $40 off your first stay! 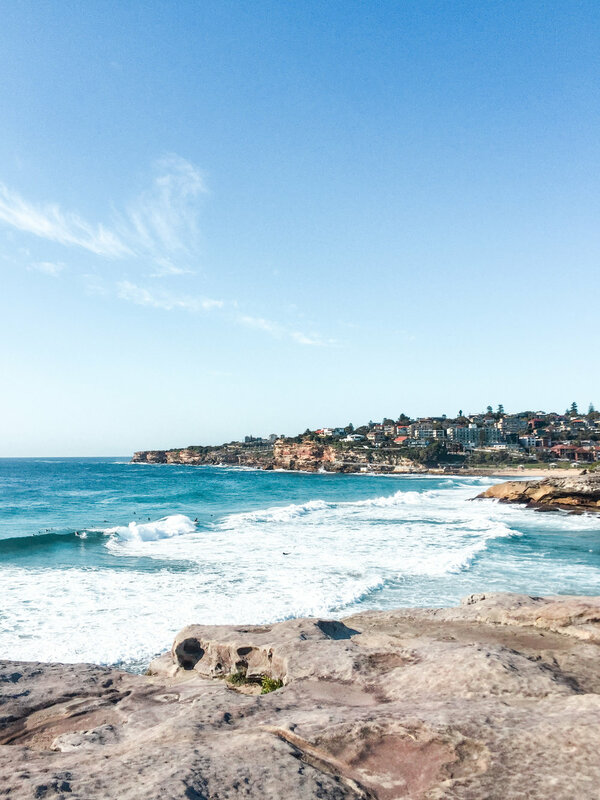 Walk the Coastal Trail | Pick up the trail behind Iceburgs, at the far end of Bondi Beach. The trail winds along the coast, with plenty of up and down to sneak in your cardio, but your reward is the stunning coastal views, rock pools and many beaches you’ll come across along your way. You can choose your own adventure and turn back any time, but if you make it the 6 km to Coogee, reward yourself with a stop to refuel at the Coogee Pavilion. Yoga | For me, it wouldn’t be a relaxing vacation without squeezing in a few yoga sessions. Body Mind Life is a charming studio located right on Hall Street in the heart of Bondi. Drop in classes are a bit pricey at $26AUD, but you can’t beat the location and the setting if you are looking to get centered and stretch out after your international flight. Bondi Iceburgs | The iconic Iceburgs is one of the most famous pools in the world. 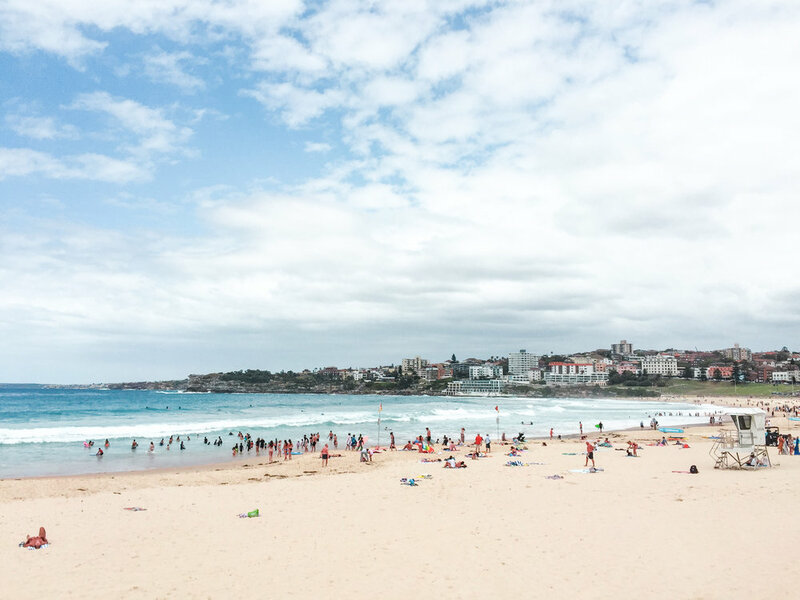 A Bondi landmark and popular spot for locals and tourists alike. Come during the day to swim (adult entrance fee for pool & sauna is $6.50AUD) or at sunset to enjoy a cocktail on the terrace. Perched against the ocean, waves regularly crash into the pool as guests are swimming or sunbathing on the rocks. Note the pool is typically closed on Thursdays for cleaning, so plan accordingly (including that this may be your best bet for good pool photos!). 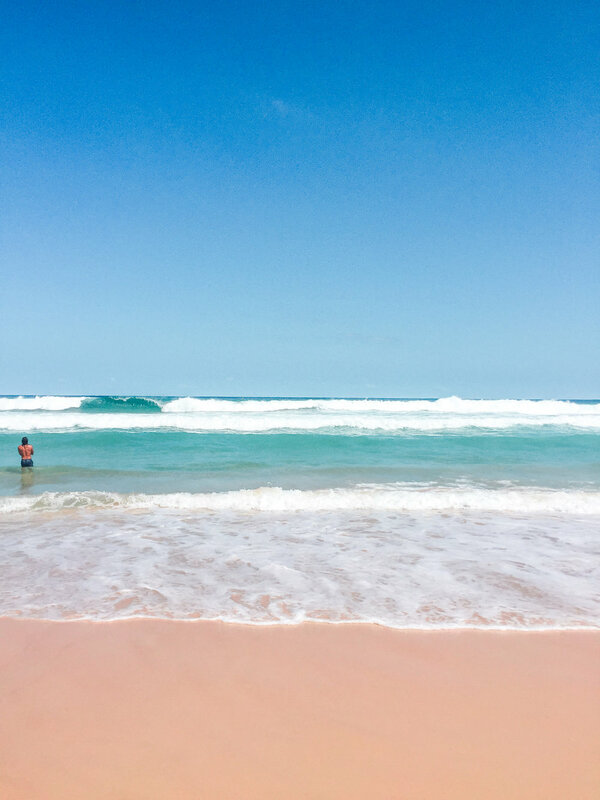 Relax on the beach | Do as the locals do and snag a spot on the beach. You can pass hours people watching, but you’ll want to lather up with sunscreen and plan for regular trips to the shoreline to cool off. The sun feels stronger Down Under, and with no shade you’ll get hot quickly. Come prepared with hats, umbrellas and plenty of sunscreen. I loved the relaxed beach vibe and stayed as long as I could each day. We ate here every day, tried nearly everything on the menu, and I can’t recommend it enough. Seriously delicious, fresh, and seasonal food in a casual setting. You can order coffee and food to takeaway but you’ll want to grab a table to enjoy the scene and views. 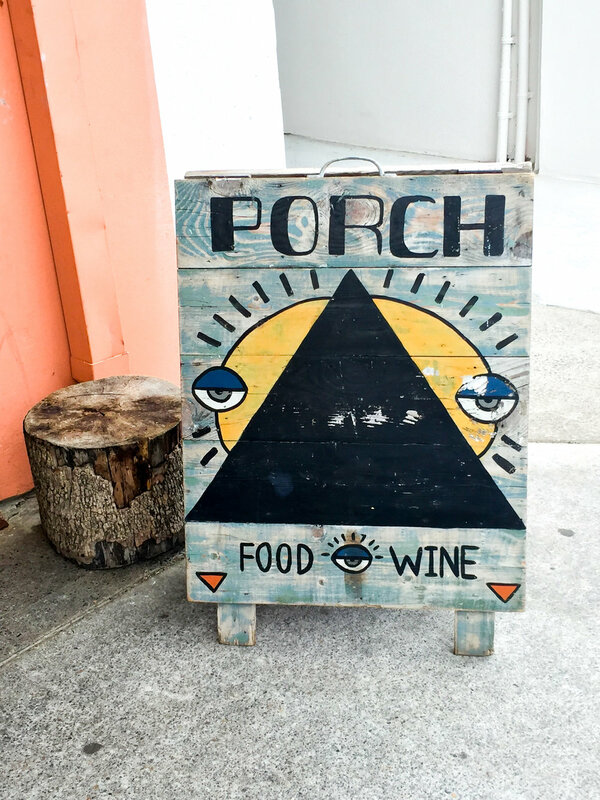 Conveniently located across the street from the beach, it’s a great spot to stop in for a long black (or flat white) after your morning dip in the ocean. Sean’s is everything I want in a restaurant. 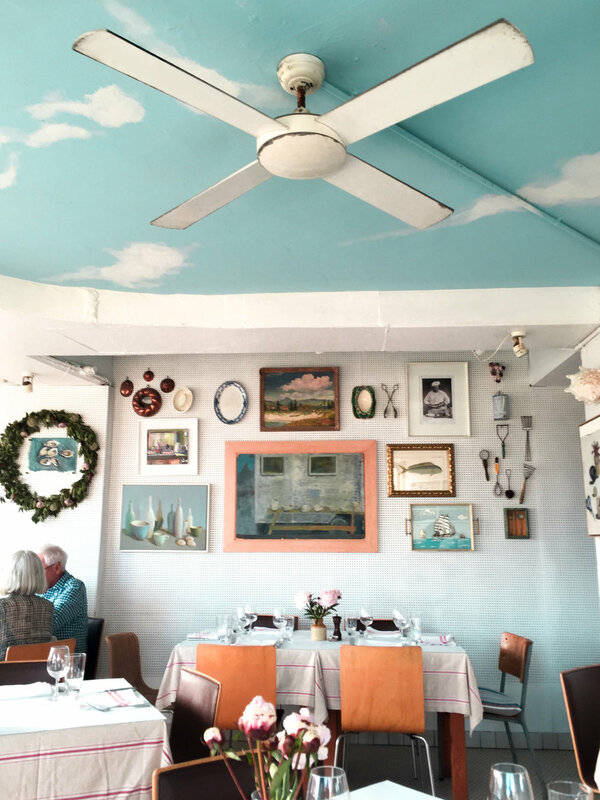 A cozy space with eclectic decor, a passionate and attentive wait staff and top notch food. The menu is written up on the chalkboard each day, so every dish is seasonal and changes depending on what they have on hand. I would recommend emailing ahead of time to make reservations for dinner, it’s a small restaurant and very popular for a special occasion or special meal. We also stopped in for brunch one day which was delightful as well. Try to get a table by the window to enjoy a view of the beach, and definitely don’t skip dessert. Awesome burgers and a fun spot for a casual lunch, especially after a long surfing or beach session. 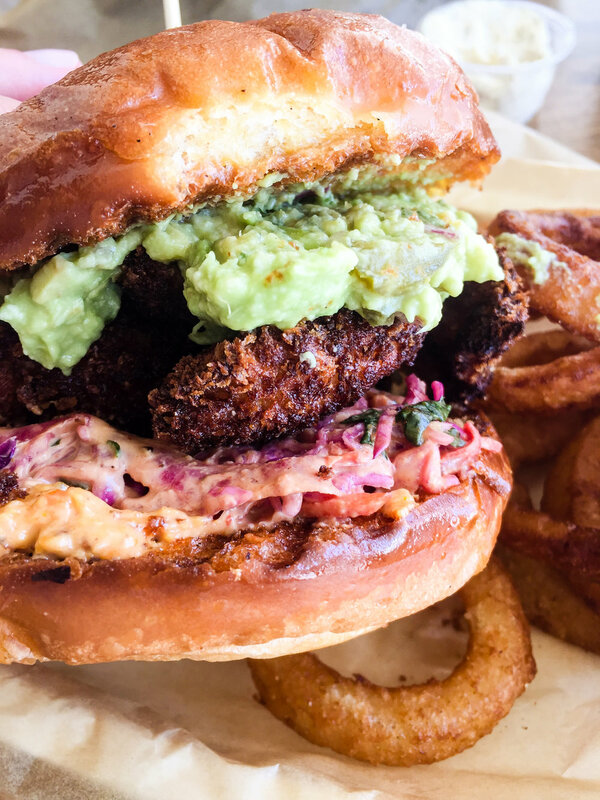 I loved the Just a Jebazel, but all of the burgers have unique, and delicious, toppings. For more Bondi Beach travel inspiration, follow local @rajveerjohal. And for incredible drone shots of Sydney's many rock pools, check out Beard & Curly's blog post Top 10 Sydney Rock Pools.